Can Ceiling Fans Increase Energy Efficiency in Maryland?Can Ceiling Fans Increase Energy Efficiency in Maryland? 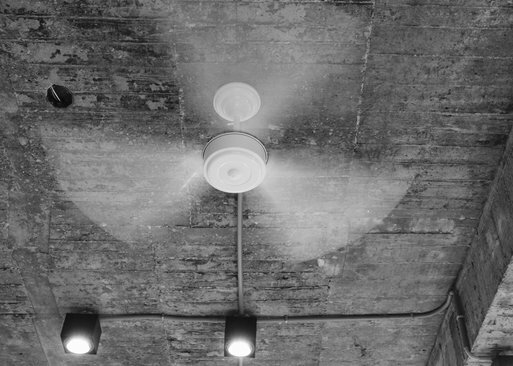 Can Ceiling Fans Increase Energy Efficiency in Maryland? Maryland summers are known for a few things: crabs, Orioles baseball, and, of course, heat and humidity. Ceiling fans can help. Maryland summers are known for a few things: crabs, Orioles baseball, and, of course, heat and humidity. As Meatloaf once sang, “Two out of three ain’t bad.” But No. 3 is a killer. Maryland’s famous heat and humidity has residents scrambling to find relief. Some hop on Route 50 and head to Ocean City to escape the heat on the beach, while others turn to their handy dandy friend the air conditioner. The only problem: relying heavily on your AC can have a pretty big impact on your energy bills. Instead of relying solely on your AC, why not give your summer savior a little help. Ceiling fans can help ease the burden of your HVAC system and keep you cool without raising your energy bills too much. To calculate the energy efficiency of a ceiling fan, we take the rate of air flow per unit time (cubic feet per min, or cfm) and divide that by the energy use per unit time (watts). Most new ceiling fans range in efficiency from 35 cfm/watt to 106 cfm/watt. Just be sure to turn your fans off when you leave the room. Remember, ceiling fans don’t cool rooms. Fans just move air, which cools people. When you aren’t in a room, leaving your ceiling fan on does nothing but waste energy. Energy Efficiency Tip: When winter rolls around, be sure switch the rotation of your ceiling fans. This simple switch will help recirculate warm air trapped on your ceiling back throughout your room, supplementing the work of your furnace. Wintertime rotation should be clockwise, while summertime rotation is counter clockwise, pushing air down. To ensure your ceiling fans are properly installed, enlist the aid of a professional Maryland electrician, like TriStar Electric. . It all starts with a home visit. Our expert electricians will examine your home and recommend the right size fan depending on the size and shape of the room. TriStar Electric’s electricians are highly experienced and will make sure that the fan is securely installed and properly balanced before they leave your home. If you have any questions about Ceiling Fans, please contact TriStar Electric by calling 410-799-5791 or 301-384-8880. We love welcoming new clients and are happy to answer any questions regarding electrical work! This entry was posted on Tuesday, June 30th, 2015 at 1:44 pm. Both comments and pings are currently closed.